Murphy; O'Brien, Price, Maguire, Madden; Martin (Flynn, 68 mins), D O'Connor, Rice, S O'Connor; Amond, Doyle (Leech, 84). Ryan; Lynch, Harris, Gavin, Rogers; Guy, Dempsey Fahey, Kirby, O'Brien (Fitzpatrick, 80 mins); Quigley (Partridge, h/t). 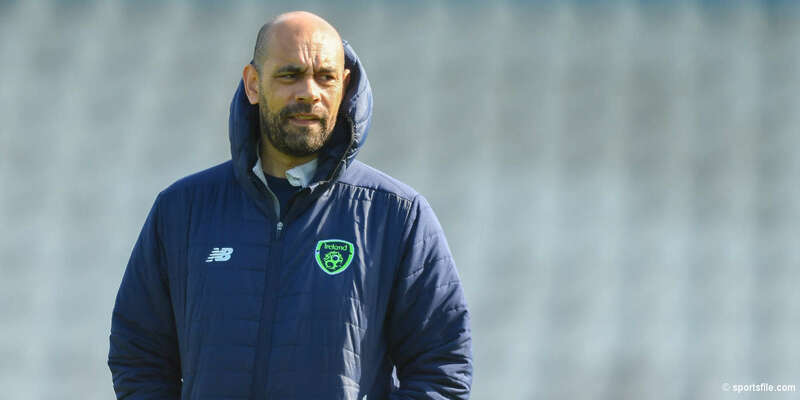 Jim Crawford's first game as caretaker manager of Shamrock Rovers ended in defeat as St Patrick's Athletic's Ryan Guy hit a hat-trick in this Dublin derby at Tolka Park. A Damien Lynch own goal gave Rovers the lead in the 20th minute, but Guy equalised from outside the box shortly after the interval. 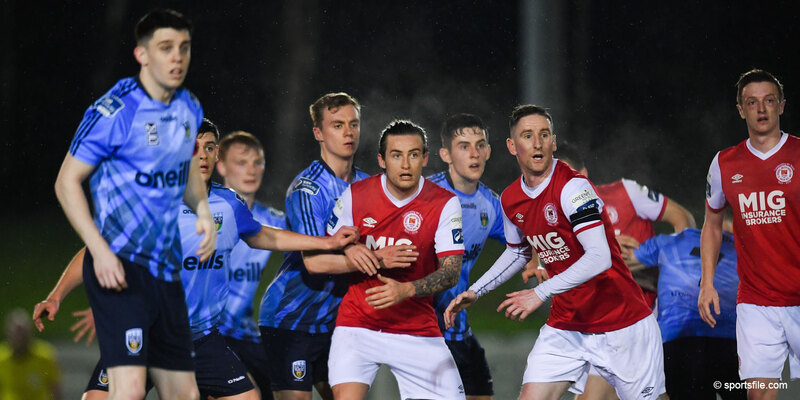 He followed it up with a neat finish to put his side in front before heading home 12 minutes from time to seal the three eircom Premier Division points for John McDonnell's charges. The first obvious sign that Pat Scully's almost three-year term as Rovers manager had come to an end was the inclusion of Stephen Rice - a player who had fallen out of favour with the former manager - in the centre of the Rovers midfield. 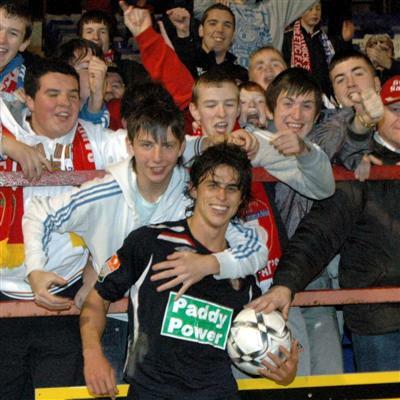 Rice faced off against Keith Fahey, arguably the league's finest talent, and the job he did on nullifying the former Arsenal trainee's influence probably justified the clamour their had been for his return to the Tallaght-bound club's starting line-up. With Joseph Ndo unavailable due to the terms of the loan agreement the Hoops have with St Pat's, Crawford opted to partner Eoin Doyle up front with Padraig Amond. The first decent chance fell to Pat's after 12 minutes when Mark Quigley forced Barry Murphy into a decent save with his leg at the near post. From the resulting corner, Fahey's cross picked out an unmarked Derek O'Brien in the box, but the former Galway United man directed his header well wide at the Drumcondra End. The visitors had the brighter opening, but it was Rovers who opened the scoring on 20 minutes. Sean O'Connor picked out the run of Amond and the striker's centre ran through to John Martin who was racing through at the back post. The midfielder's drilled shot hit at least one, if not two, Pat's defenders en route to the net, but the general consensus was that Damien Lynch was the man who got the final touch before the ball crossed the line. Rovers could have had a second almost immediately when Doyle broke forward and unleashed a shot from distance that flew just wide. The Hoops' displays had improved in Scully's last weeks in charge and they maintained that level of performance in the first half as their southside rivals struggled to match the intensity shown by the Tolka tenants. Pat's did have a chance in the 34th minute but O'Brien could not get enough curl on his right-footed effort to trouble Murphy. Rovers responded almost immediately with a dipping effort from Amond that only just cleared the crossbar. The visitors fashioned a chance out of nothing as the clock ticked towards half-time as Guy rescued a lost cause in the corner. The diminutive American crossed to Quigley but the top flight's top scorer was unable to get a decent connection with the ball and the danger soon passed. Pat's took Quigley off during the interval, with David Partridge coming in at centre-back and captain Jamie Harris taking his sizeable frame up to lead the attack. Despite losing their ace marksman, Pat's were level inside three minutes of the restart. A harmless enough ball forward bounced nicely for Guy 20 yards out and he fizzed a shot to the net before Murphy realised it had even left the winger's foot. John McDonnell's side were still looking dodgy at the back, though, and they would have fallen behind for the second time had Sean O'Connor not sent a shot over from no more than eight yards out. Rovers' stopper Murphy then did brilliantly to push the ball away from the feet of Alan Kirby after an exquisite ball from Fahey had put him in behind down the right. With Pat's all but assured of second place and Rovers set for a mid-table finish both sides felt the freedom to treat the crowd to a thoroughly enjoyable and open game. A little tiredness crept into Rovers' as the game moved into the last 20 minutes and when Gary Dempsey was allowed dribble unopposed deep in the hosts' territory, he made the most of the situation to slip a clever ball through to Guy, whose shot on the turn contained enough power to beat Murphy's attempted save. The hosts were forced to chase the game, which led to huge gaps in their defence. 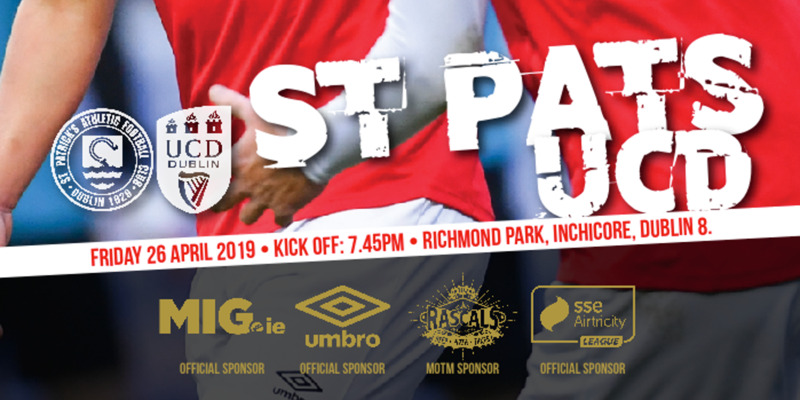 St Patrick's took advantage when a lovely cross from Fahey was headed in at the far post by Guy to secure the match ball for the St Pat's number 21. To their credit, Rovers continued to battle and were desperately unlucky not to pull one back when Ger O'Brien's right-footed curler bounced back off the crossbar.